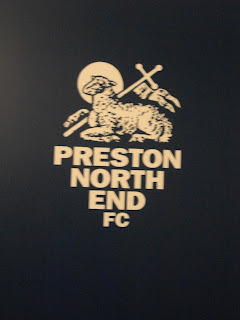 During the 1930s Preston North End Football Club was one of the most successful teams in the English First Division. The foundations of this success were due in part to good local development, a youth development policy and a number of shrewd signings from around the country following recommendations by 'football scouts'. The Preston born winger, Tom Finney (later becoming Sir Tom Finney) played for Preston U/18s and Preston 'B Team' in this era. A little before the Second World War Preston North End twice made the FA Cup final: in 1937 (when they were losing finalists) and 1938 (when they were Cup winners). 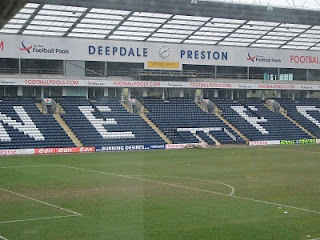 In fact, in 1938 Preston NE narrowly missed winning the 'Double' of League Championship and Cup winners. Inevitably, because of the war sporting fixtures were disrupted and a lot of the football was organised on a regional basis to limit the amount of travelling. Most professional football players did National Service - playing matches only in their spare time. Nevertheless, in 1941 North End achieved a wartime 'Double', winning both the War Cup and the Northern League Championship. During WW2 Preston North End's Tom Finney was signed up to the army and sent out to the Middle East, playing for a team of professional footballers called 'The Wanderers'. The 'Wanderers' played matches in front of the troops at places like Jerusalem, Beirut and Tel Aviv. Tom Finney was also with the British Eighth Army in Italy (driving a 'Stuart' tank) and several of his best pals were killed or wounded. On a happier note, Tom Finney continued to play for Army teams in Italy and played for an England side that played against the national side in Switzerland. Tom Finney was demobbed in 1945 and return to Preston to work as a plumber and a footballer. Tom Finney became a legend throughout Europe and was elected to the English Football Association's "Hall of Fame". Ritson - it's an even littler known fact that my brother Larry (of Aston Villa)played against Finney and a few other professionals in a match in Malta and again in Bari for the RAF Vs The Army..
My Father James Chorley, 1922-2011 joined up on the same day as Tom Finney. They were both 19 years old, my dad got on the train at Warrington and they sat together, two young northern lads. They trained at Tidworth. My father then met up with Tom in Egypt. My dads claim to fame was he played football with Tom Finney!! !